Calls Needed: Important Vote on Paid Family & Medical Leave Insurance. Help us get one step closer to ensuring all Granite Staters have access to paid family and medical leave insurance (FAMLi)! We need folks to call state Representatives and urge them to support HB 628 in a crucial House vote THIS WEEK! Paid FAMLi would complement existing insurance benefits such as worker’s compensation insurance and unemployment insurance. The House is expected to vote on this important worker’s insurance program on Wednesday! Here’s how to find your Legislator and contact them. IMPORTANT: See below for a script if your legislator is one of the Republicans (they are listed below, too) who supported this important bill earlier this year—courtesy of Campaign for a Family Friendly Economy—along with some key talking points. If you have a personal story of a time this might have been helpful to you, let them know. HB 628 enjoyed a healthy measure of bipartisan support, but there is a concerted GOP effort to kill this legislation. Did you know? Only 11 percent of workers in the U.S. have access to paid family leave through an employer, and fewer than 40 percent have access to personal medical leave. Thousands in our own state continue to face severe challenges without paid time off to care for their newborn children, recover from illness or injuries, or take care of their ailing parents. 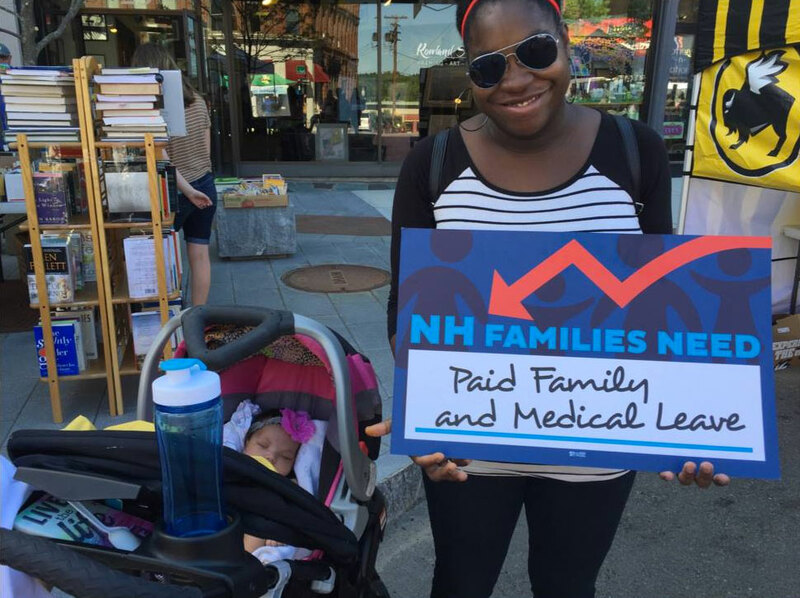 Establishing paid family and medical leave insurance in the Granite State is a key is part of Rights & Democracy’s Raise Up New Hampshire platform. How the program would work: After six months of paying into the program, participants would be eligible for up to six weeks of paid leave to recuperate from an illness or procedure, or to care for a family member, a new baby or a sick parent for example. Participants would receive 60 percent of their wages. Currently, there is an opt-out provision in the bill, and no business would be required to pay into it – only workers. The Department of Employment Security (DES) recommended that the participant input be increased from .5% to .67 percent, which they felt would secure the solvency of the program if participation rate was as low as 70 percent. This means that the average New Hampshire wage earner making $50,000 would see their weekly deduction increase from $5 in the original bill to $6.70. Businesses are not required to contribute anything to the program. Democrats on the Commerce Committee put forward an amendment to change the bill to reflect the DES recommendation. Keep reading to find out how best to talk to your local representative. Hello is Representative [LAST NAME] available? Hi Representative, my name is _____________ and I’m calling about House Bill 628. This bill would establish an employee funded family and medical leave insurance program here in New Hampshire. Access to paid family and medical leave insurance helps aging workers stay in the workforce, increases the odds of success for working people recovering from substance use disorder and leads to higher workforce participation among new parents. Will you support this bill and overturn the Inexpedient to Legislate (ITL) recommendation by the Commerce Committee? 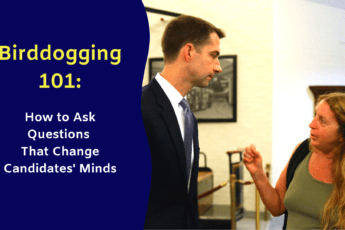 Will you support an Ought to Pass (OTP) motion? Will you support amendments proposed in Commerce that ensure the insurance program will be solvent and succeed? 2. In-depth thank-you calls for Republicans who supported HB628 on the first floor vote (see the list below). Voting YES for the amendment that was proposed in Commerce which ensured the program is solvent and will be able to be successful.